A waste company operator behind the illegal dumping of thousands of tonnes of waste ran two cash accounts and had greater involvements in a pub and horses than he admitted to, the High Court heard. 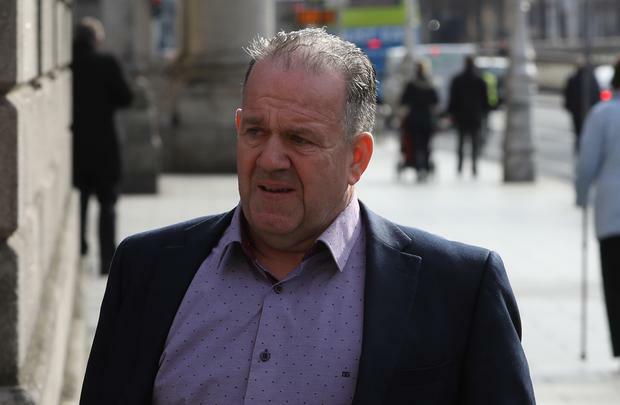 Jim Ferry, of Donegal firms Ferry's Refuse Collection and Ferry's Refuse Recycling, is facing possible jail for contempt of court over his alleged failure to co-operate with an investigation of his finances to establish where more than €3m he allegedly got from illegal disposing of waste went. He claims he never made that kind of money and he under charged customers to collect their waste. On Tuesday, Mr Justice Max Barrett adjourned Donegal Co Council's application to jail him for breach of previous orders that he divulge all his finances. The judge said he would give a forensic accountant employed by Mr Ferry an opportunity to examine the same documents examined by the county council's expert who found he had not fully co-operated. The case has been before the court on 14 occasions since Donegal Co Council moved against him in 2017 over what was described as the "unmitigated environmental disaster" of waste dumped on 11 acres he owns at Rossbracken, Letterkenny, a Special Area of Conservation on the shore of Lough Swilly. At one point, in August 2017, Mr Justice Barrett directed he be committed to jail for contempt over breach of orders but he fled the jurisdiction before the paperwork could be executed. He returned after nearly nine months when he pleaded with the court not to commit him to jail and agreed to co-operate with the council's investigation. On Tuesday, the court heard Mr Ferry had failed to co-operate with a forensic accountant employed by the council to investigate what happened to money made by his businesses. He refused to properly address his involvement in a pub called the Millridge Bar in Kilmacrenan, Donegal, his involvement in horses and the running of two cash books in the business, the accountant said. For the year 2015 alone, some €313,000 was under declared by the use of the dual cash book system. Richard Lyons SC, for the council, said there was now no point in continuing to use the coercive power of the court to get Mr Ferry to co-operate. It was now necessary to impose the punitive sanction of jail. "There will be little served by turning the screw any more to try to get to the bottom of where the money went", counsel said. Eanna Mulloy SC, for Mr Ferry, said fair procedures demanded that his client's expert accountant be given the same opportunity to examine the paperwork looked at by the council's forensic accountant. This included material held by the gardai in Letterkenny, Donegal. Counsel said there would be "no more shilly shallying" once this is done. The judge said the council's expert reached "fairly damning" conclusions in his report on Mr Ferry's co-operation. However, the issue before him was whether Mr Ferry should be afforded the opportunity provided to the council's expert. Procedural justice required that he should and the judge adjourned the matter to the end of June.